When evaluating a chess position, every Grandmaster considers four key factors: King Safety, Material count, Piece activity, and Pawn structure. Most amateurs tend to pay too much attention to piece activity and material, and neglect how critical pawn play and pawn structure is to to assessing positions and deciding on the correct strategy of play. How many times have you played what you thought was a good game, just to realize you're now facing a lost ending? Many of these endings are lost because players neglect to account for pawn play and resulting pawn structures. But you can stop that now and master the keys of pawn play with this new video series. In it, we cover crucial topics in pawn play such as pawn chains, isolated pawns, doubled pawns, pawn endings and more. 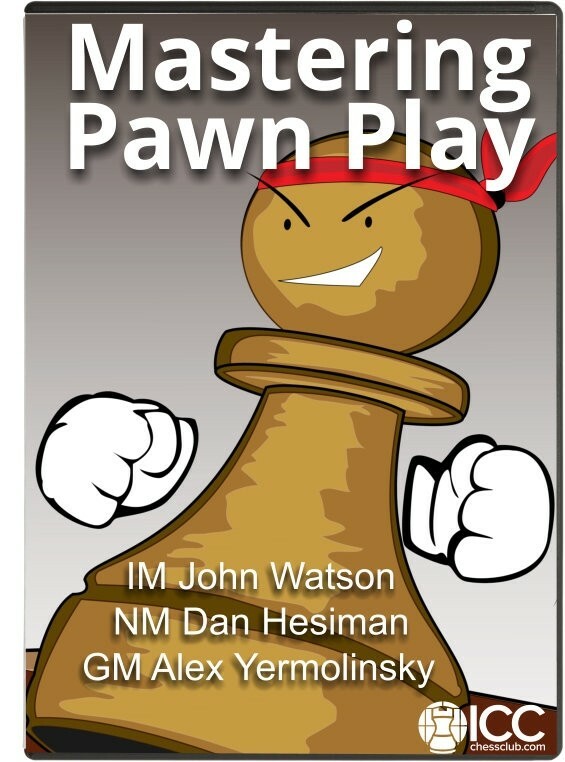 Add a new weapon and dimension to your game with positional pawn play with top instructors like IM John Watson, GM Alex Yermolinsky and NM Dan Heisman. As a bonus, you'll also receive amateur game analysis that's quite instructive in highlighting how important pawn play is. Check out two videos from the package!